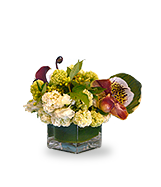 Bloomies has been in business since 1987, always adhering to the philosophy that quality, flower knowledge and exceptional attention to detail help to create superior floral design. The owner, Julia, has been a part of Bloomies for 22 years and has been in the business for 27 years. 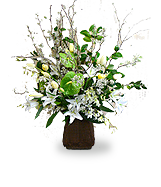 "I want our customers to share the same joy that I experience when I work with the flowers. I want them to be as excited by finding violets in December as I was when I found them at market." Fresh cut flowers, hand blown art glass, gift cards (many of which are also hand made by local artists) and gift items are all hand selected. The selection is ever changing. 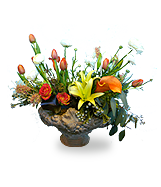 As well as having a wide variety of flowers and gift items on hand to choose from, it is just as vital to rigorously maintain and care for the flowers. This is done on a daily basis, ensuring the highest quality possible.